ARIES – Your hope will bloom like a rich delicate fragrant and dazzling flower. Investment made today will enhance your prosperity and financial security. Rituals will be performed at home. Little chance to escape from the Cupid’s arrow. Overseas news and business offers for some. Travel-entertainment and socializing would be on your agenda today. You will feel the warmth of your life-partner’s love today. TAURUS – Lovely mood of your spouse may brighten your day. Use your innovative idea to make some extra money. Unexpected gifts and presents from relatives and friends. You will know today that the love of your partner is truly soulful for you. Lots of love will prevail at your workplace today. Take care of your action and words as authority figure will be less understanding if you do something deceitful. Things are really beautiful today in your married life. Plan a wonderful evening for your spouse. GEMINI – Chances of recovering from physical illness on the card. Incase you are looking for ways to make little extra money- invest in secure financial schemes. Fashion a sublime rhythm in your life and learn the values of surrender and art of walking straight with love and gratitude in heart. It would make your family life more meaningful. Your beloved will seek commitment. Life is too precious to stay upset about work. Things might test your patience today. If you run from a situation- it will follow you in the worst possible way. After so many being-mean days, you and your spouse will fell for each other again..
CANCER – Your doubting nature may show you the face of defeat. Good day for real estate and financial transactions. Avoid arguments and confrontation and needless fault finding in others. Resolve your long-standing quarrel today as tomorrow may be very late. The work you are doing today at office will benefit you in a different way in coming time. A sparkling laughter filled day when most things proceed-as you desire. Your spouse might not show much interest in supporting you in the difficult situations today. LEO – Avoid overstraining as it would only lead to stress and exhaustion. Surplus money should be invested in real estate. Your unnecessary finding faults in others could be criticized by relatives. You must realize that it is only wastage of time. You don’t gain anything from this. Better to change your habit. Don’t waste your time in finding fault in your beloved. Enemies at work might become friends with you today just because of a one single good act. This will be an upsetting day if you jump to conclusions and take unnecessary actions. Just don’t complain about anything to your spouse, he/she is already in a bad mood. It might become a bad day. VIRGO – Umpteen nervous breakdowns could weaken your resistance and thinking power. Encourage yourself to fight the disease with positive thinking. New sources of income will generate through people you know. Motivate your child to live up to your expectations. But do not expect miracles as he tries. Your encouragement would definitely boost his spirits. Be cheerful and courage to face downs in love. If you were struggling at work since many days, it is going to be a really good day. Do not feel shy when asked for your opinion-as you will be highly appreciated for it. Your spouse might come under the adverse influence of others and fight with you, but your love and compassion will settle everything down. LIBRA – Pressure from seniors at workplace and discord at home might bring some stress- which would disturb your concentration at work. Avoid overspending and dubious financial schemes. The jovial nature of family members will lighten up the atmosphere at home. Personal affairs will be under control. You will be in a position to put together major land deals and coordinate many people in entertainment projects. Today people will pass compliments-which you have always wanted to hear. Today, your better half will support you in the most critical thing of your life. SCORPIO – You need to sit back and relax today- and get involved in hobbies and things that you enjoy doing the most. You will make good money today- but try not to let it slip through your fingers. Use your spare time in beautification of your house. You family will really appreciate it. Your erratic behavior will cause differences with your beloved. Take care of what happens around you- Someone might take credit for the work done by you today. Today there will be lot of issues- which need immediate attention. The day might pull you in the dilemma of choosing between your spouse and something/someone else. SAGITTARIUS – In case you have been feeling frustrated recently- you should remember that right actions and thoughts today will bring much needed relief. Investment needs to be made with a long-term perspective. Family members would support your views. Love will show positive vibes Those appearing for competitive exam need to keep their cool. Let the examination fear not unnerve you. Your effort would definitely bring positive result. Your magnetic-outgoing personality will capture hearts. Your married life is all about fun, pleasure, and bliss today. 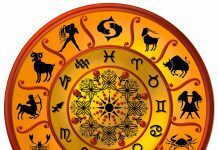 CAPRICORN – Keep your poise as you are likely to confront some difficulties otherwise-it may put you in some serious trouble. Especially control your anger which is nothing but a short madness. Be careful not to get roped into dubious financial deals. For some- a new arrival in the family brings in moments for celebration and party. Romance- outings and parties may prove to be exciting but very tiring. Seniors colleagues and relatives will lend major support. This will be an upsetting day if you jump to conclusions and take unnecessary actions. A surprise from your sweetheart will change your entire outlook toward marriage. AQUARIUS – Meditation and yoga should be practiced for spiritual as well as physical gains. You could find yourself in an exciting new situation-which will also bring you financial gains. Invitation in a award function of your child would be the source of happiness. You would likely to see your dream coming true as he lives upto your expectations. Today your beloved would find it extremely difficult to deal with your erratic behaviour. Overseas news and business offers for some. Watch out for individual who might try to mislead you or give you information that might cause you some harm. You might feel suffocated in your married life due to lack of comfort today. All you need is to have a good talk. 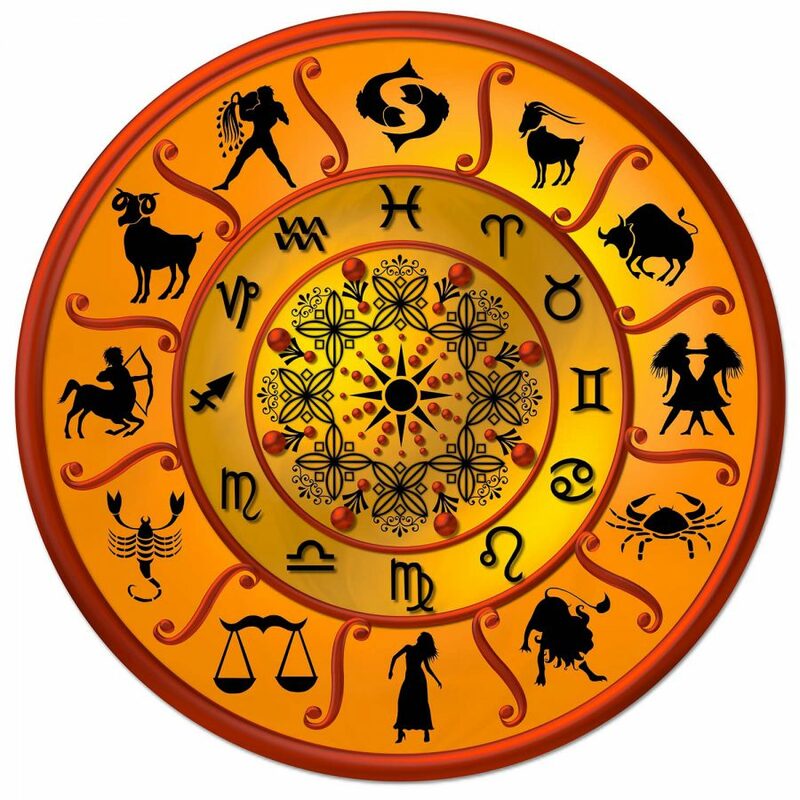 PISCES – Hasty decision could cause some problem. Think calmly/coolly before taking any decision. Today you should focus on issues related to land, real estate, or cultural projects. An old friend makes an unexpected visit bringing back pleasant memories. Someone may compliment you. Do not sign any business/legal document without reading between the lines. Boundless creativity and enthusiasm leads you to another beneficial day. After a difficult phase in married life, you will see the sunshine today.